More power for local communities. 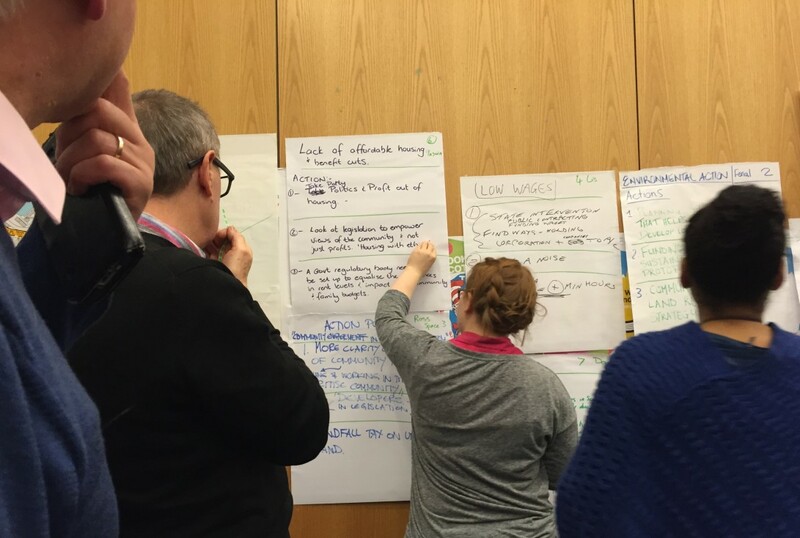 That was a strong theme of our Open Space meeting in December 2015. Now we hope together we can turn words into a Community Manifesto for Edinburgh Northern and Leith in the Scottish Parliament elections in May. Please join our community discussion event on Saturday (2 April) in Newhaven Church Cafe 10am – 2pm. After feedback on what we have learned about these issues we will break out into workshop discussion ending the morning with action points – and lunch. If you have been to our Leith Open Space events before you will know that the Open Space is a friendly and non-threatening process. A welcoming and positive discussion was enjoyed by everyone who joined us in December. 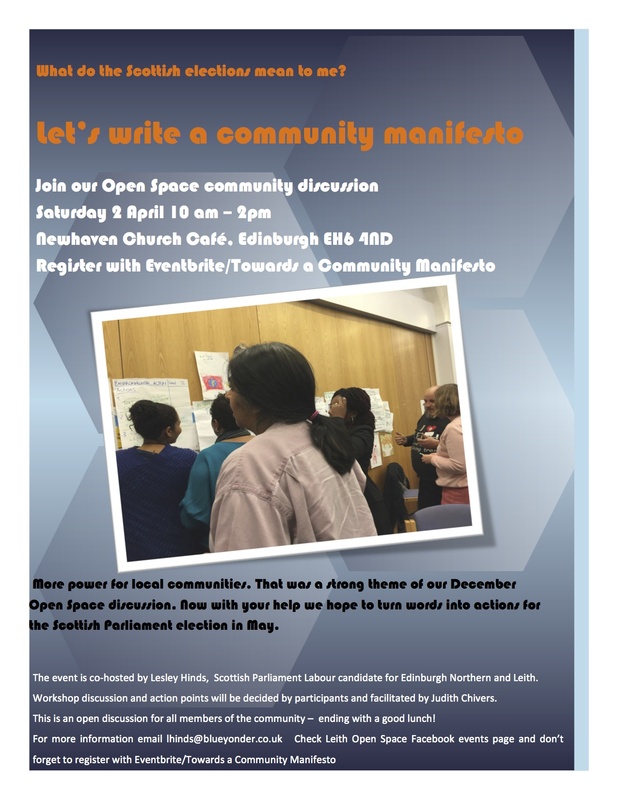 We hope you will join us again to explore how we can develop these stimulating ideas into a practical and integrated community manifesto. And please bring friends you know will be interested. The event is hosted by Lesley Hinds, Scottish Parliament Labour candidate for Edinburgh Northern and Leith. Community discussion will be led by participants at the event and facilitated by Judith Chivers. It is an open discussion for all members of the community.